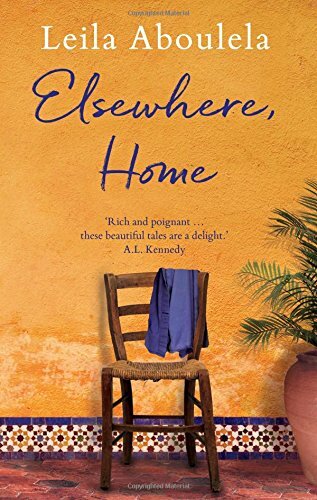 This collection of stories by award-winning Sudanese/Aberdonian novelist and playwright, Leila Aboulela, spans almost twenty years. The earliest one, ‘The Museum’ (1999), won the first Caine Prize for African Writing, and is alone worth the cover price of this volume. It is a study of awkwardness, as two young people – Shadia from Khartoum, Bryan from Peterhead, both studying for an MSc in Statistics – take the first steps towards a mixed-class as well as mixed-race friendship. Shadia’s self-awareness and inner questioning (in the old-fashioned museum, she reckons that she would not make a good exhibit herself: ‘She wasn’t right; she was too modern, too full of mathematics’) carry all the hallmarks of Aboulela’s writing, to be seen in her subsequent novels. Among these is an extraordinary sensitivity to, and articulacy about, the prices of voluntary exile in whichever direction. In one of the stories published almost twenty years later (‘Summer Maze’, 2017), the central character, Nadia, has become an outsider in her country of origin: ‘the language had started to evade her’; she was ‘eager to hurt her mother’. She sees things with eerily detached sharpness, describing a legless beggar as a ‘roaming, wanting man, half human, half skateboard’. Aboulela is as sharp on the gulfs in understanding, the touchiness, between men and women from such different cultures. In ‘Something Old, Something New’ (2003), a young Scot converts to Islam, falls in love with a young Muslim woman and, expecting her country to be one of ‘elegance and reason’, finds ‘melancholy, a sensuous place, life stripped to the bare bones’.